I took the AncestryDNA test in 2012, a long time ago, and I have largely been disappointing. It hasn't lead to any revelations about my dad's father's birth family (my dad was adopted, not me). The other day I saw that a 1st or 2nd cousin connection appeared and I didn't recognize the name, so it wasn't on my mom's side of the family. What is often frustrating about AncestryDNA is the person who has taken the AncestryDNA test either doesn't have a family tree or doesn't share it. So, I can't see how this person is related to me. I messaged them and they did get back to me quickly. Turns out she is my grandmother's brother's daughter...is that a 2nd cousin? 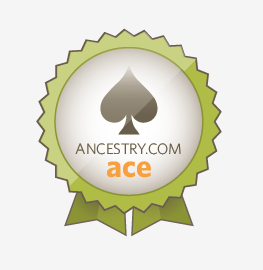 It was good to see that AncestryDNA was able to prove a closely related person that I had previously not been aware of. Unfortunately, it didn't provide any further hints to my dad's biological father. What occurred to me was that AncestryDNA was a nice proof point of the fact that the documented family members and the biological family members matched up. What do I mean by that? I have been reading a little bit recently that DNA research has uncovered a surprising number of children who aren't the children of the father they believed to be their biological parent. Not something we probably think about too much. However, it appears that being descended from the milkman wasn't just a joke, but in some cases a reality. Which brings me to AncestryDNA hints. These are interesting, because not only do they indicate that you are related, but will show your common ancestor. This is only possible if you and the other AncestryDNA user have built out your family trees to the point where you both capture those people you share in common. By seeing DNA matches to people you share an ancestor with it does help to reduce the possibility of a 'milkman" situation in your family tree research. Of the 16 AncestryDNA matches with hints (only 12 made their trees public) it was interesting to see that the following showed a DNA connection (of course, these could be wrong and we could be relates through unknown relatives, but with multiple DNA connections with the same ancestors, that seems unlikely). In 3 of the 12 AncestryDNA hint matches I can see we shared the common ancestors of Moses Godfrey and Deborah Cooke. This was significant because Deborah Cooke was the granddaughter of Stephen Hopkins of the Mayflower. Further proof that I am a Mayflower descendant. If you haven't looked at your AncestryDNA hints, check it out as it may lead to some interesting information.